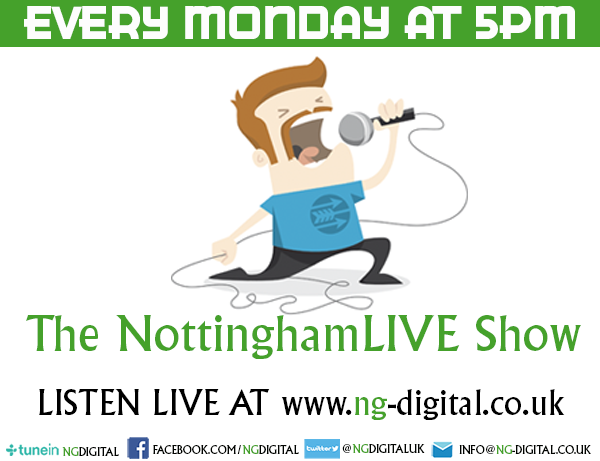 MARTIN DUNNING talks to ROY STRIDE from Scouting for Girls for NottinghamLIVE as news of their gig at Rock City, Nottingham was announced this week. NL: This year marks a decade in releasing your self-titled debut album, how does that feel? Roy: I’m very proud that we are re-releasing this record, this is the record we spent pretty much 10 years working for. Before we were signed we were together 10 years before this record came out, even though we’ve said its a 10 year anniversary its more like 20 years. We have all been really proud of this record it has such incredible memories since 2007-2008. When it came out our lives completely changed, one week your working in a shop next week your in a recording studio few months after that we’re on the road its been the best part of our lives and quite emotional. NL: You’re releasing a deluxe anniversary reissue which include 14 extra tracks on 2 CD’s which include live & unreleased demos, also releasing your self-titled album on vinyl and limited edition cassette. What have fans made of these releases? Roy: The cassette is funny it looks good but I don’t think anyone can play it, the vinyl we have had loads of requests, we did a few singles back in the day on vinyl that we never released on our album so really pleased to have that, the CD has 4 unreleased tracks around the same era, which I was going to re-record but they have this rough charm of that time. She’s So Lovely has done well, any band around now has a remembrance and its down to one monster song and this is our monster,and its connected in a way that nothings ever equalled that we’ve ever done its amazing. NL: Since bursting onto the scene back in 2007, you’ve had a triple platinum debut album, multiple top ten hits, how has this made you feel? NL: After so many years, how does it feel to still have so many loyal fans? Roy: Its amazing, I was just looking now on our twitter because our tickets have just gone on sale for the tour, its amazing 10 years on and we are still playing these incredible venues. NL: You had 20,000 fans apply for 300 tickets to London’s Bush Hall earlier this year, what was that like? Roy: That was insane and didn’t think we would get that many people, it was quite shocking cause that night was amazing we played the whole album through, we played some fan favourites and ended with She’s So Lovely, I think we are going to do a similar thing on this tour play the album and some favourites, with Rock City being 1st December you can bring out Christmas songs and Christmas jumpers and have a big party. Nottingham. Last year was one of the best shows of the whole tour, in terms of like the reactions I had a friend of mine coming down who hadn’t seen us before and was hoping it was really good it was absolutely amazing so cant wait for Nottingham again. to places like Nottingham, Birmingham, Leicester? Roy: We always did really well in the middle part of the country and we don’t know why, its more of a northern thing. the love of music, but Nottingham is always one of our favourite places, Rock City has so much history, its a proper venue its a great venue everyone can see everything and its intimate lovely place, I love to do a balcony run, I’ve got to get up on the balcony. Rock City is an awesome venue. NL: What else can fans expect from you after all your shows this year? Roy: We have been working the last year on new music we are hoping to get a new album out maybe before the tour or just after, hoping to have a couple of brand new songs to play on the tour as well and then come out with a brand new album around that time or just after so its going to be exciting.